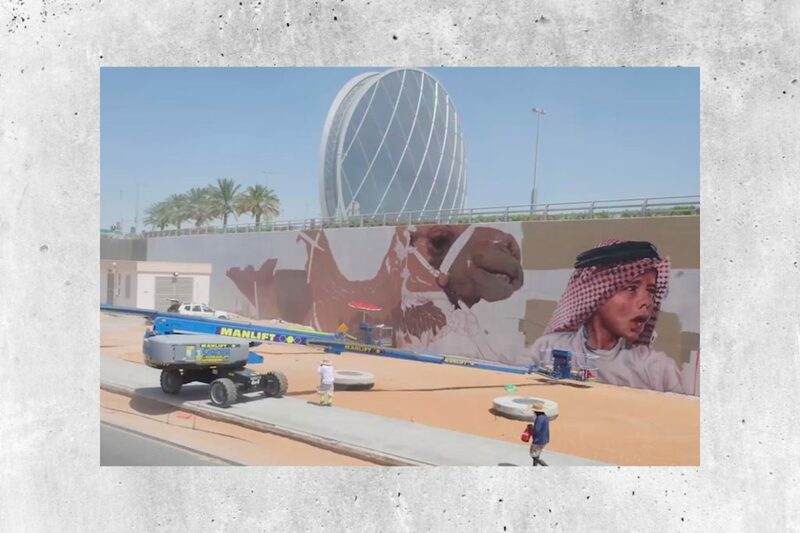 The first mural in Abu Dhabi, this 600m long piece of art, represents a cultural and heritage admiration spot on Al Raha Beach boulevard. Commissioned by Aldar Properties, we engaged with Evoca1 art collective to create Abu Dhabi’s first of many murals. Located beneath the HQ, on Al Raha Beach boulevard, the long roadside wall represents the cultural elements of local heritage and tradition. Beautifully conceptualised and painted during Ramadan in 2016, the mural was officially presented to the public by HE Sheikh Nahyan bin Mubarak Al Nahyan and HE Mohamed Khalifa Al Mubarak.